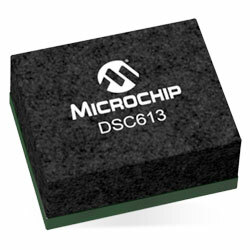 Microchip DSC613 3-Output MEMS Clock Generators, available from Mouser, offer an ultra-small footprint, low-power, and a crystal-less operation. The generators remove the external quartz crystal, significantly enhancing reliability and accelerating product development. The generators are factory-configurable and can generate up to three LVCMOS outputs from two PLLs. The individual outputs can be configured to generate frequencies from 2kHz to 100MHz. The devices implement the company’s proven PureSilicon MEMS technology, offering low jitter and high stability across a broad range of supply voltages and temperatures. The device comprises a configurable control input that can function as an output enable/disable, sleep, standby, spread spectrum enable, and frequency select. Also, the device provides a spread spectrum function that includes both centre and down spreading. The company’s ClockWorks Configurator must be used to choose the necessary options, create the final part number, data sheet, and order samples.